For someone like me who has studied frosted duco, this is the “holy grail”. 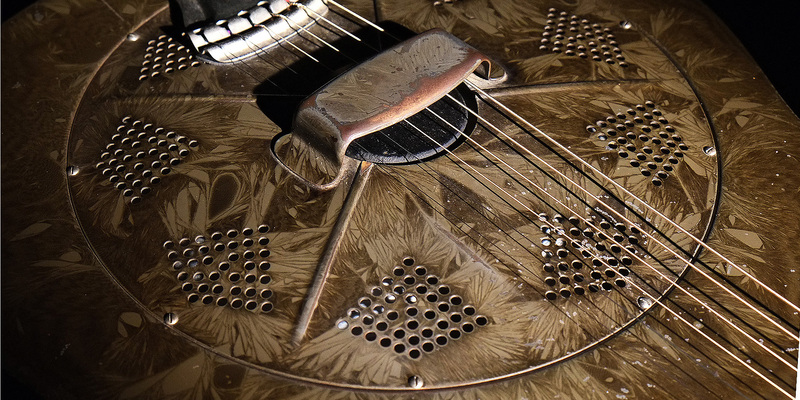 In 1933, National decided to do a run of Triolian instruments in this brown/tan crystal finish. 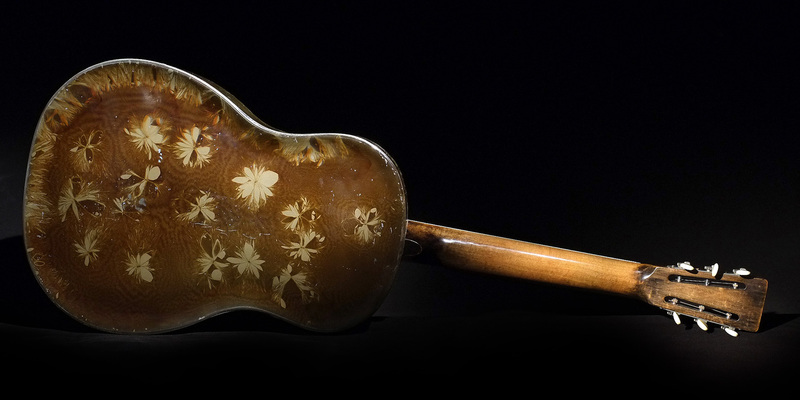 The total count of guitars, tenor guitars, ukes, and such, runs somewhere between 150 and 200. 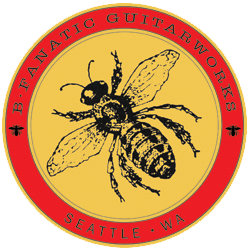 The number of currently identified guitars is low, maybe around 10 to 20. So you don’t see many of these and rarely do you get to hold one in your hands (let alone take it apart). So the opportunity to closely examine this finish has been great! Unlike the Duolian crystal finish, the B Series finish is not metallic. In 1933, the finish looked dark brown against a contrasting tan. Over time, the red color (one of the most light sensitive) fades out of the brown and tan dye. 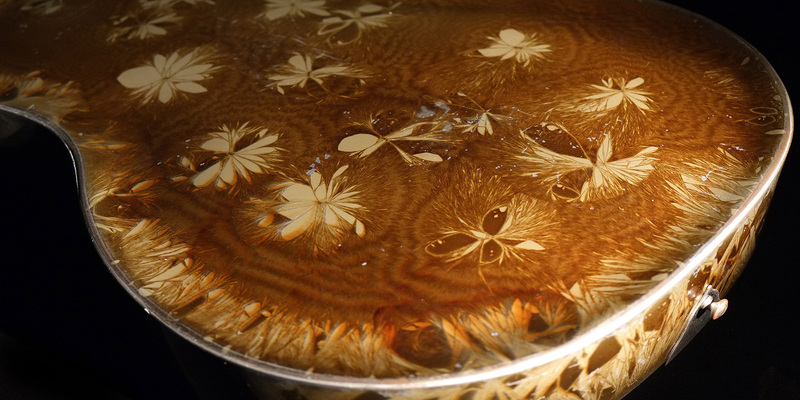 The lacquer turns amber and everything turns green. The brown shifts to an olive color and the tan to chartreuse. 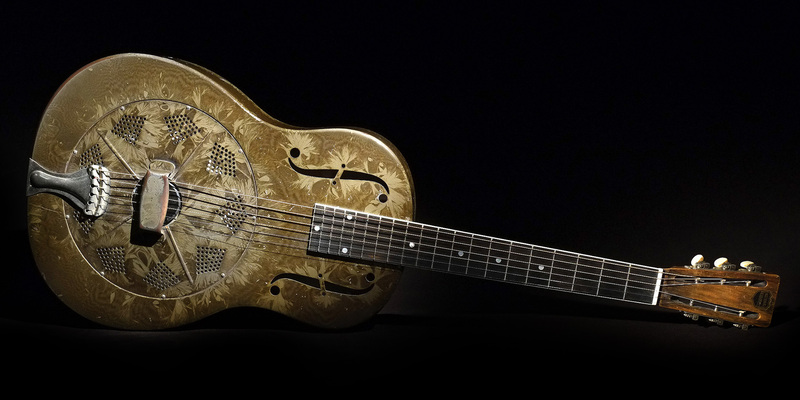 On this guitar the front is much more green than the back and the lighter flower patterns are very dark. The front just got more exposure to light when the guitar sat out of its case. The frost flowers in the crystal pattern are more distinct in the “B” finish than on Duolians. 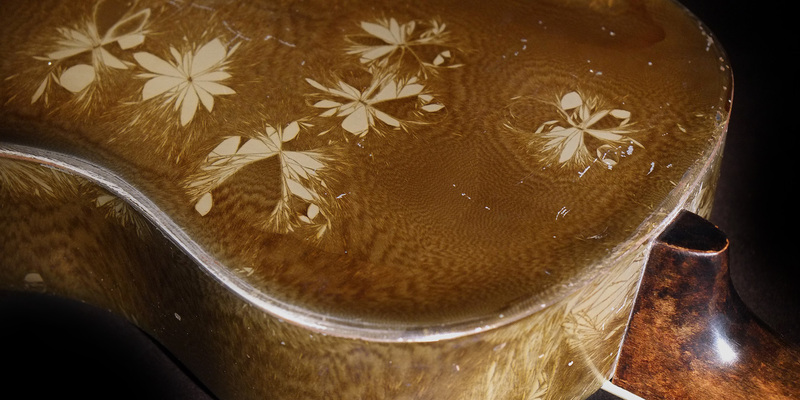 Although both types of finishes have these flower patterns, the application of the “B” finish enhances the natural contrast in the crystal patterns, whereas the finish on a Duolian subdues it. Since this is a Triolian model, the neck is maple with a hand applied dark burst. It originally had an ivoroid bound, black stained (ebonized) maple fretboard. The fretboard on this one has been replaced with an ivoriod bound, solid ebony board. 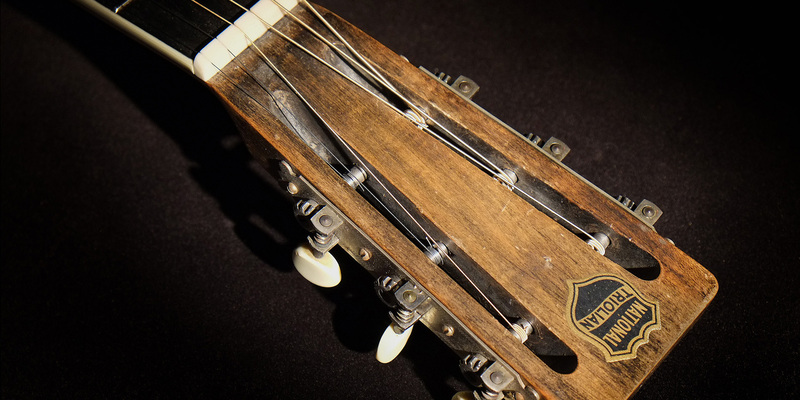 The guitar still has its original cone, tailpiece and tuners. Plus its sweet tone with lots of echo.